The BlackBerry Key2 is being announced today in New York and we’ll bring you all the news as it happens. But if you want to see the event and can’t be there in person you can still tune into the livestream when it all kicks off at 10am EDT / 7am PDT / 3PM BST / 12am (June 8) AEST. 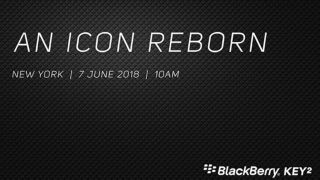 BlackBerry Mobile will be streaming the whole announcement event on YouTube, and you can find that video below in this article – though if you’re reading this earlier in the day it won’t be live yet, so come back later. All that said, we’re not expecting many surprises, as the BlackBerry Key2 has been heavily leaked, so we have a good idea of what it’s likely to look like and of all the specs. If leaks are to be believed it has a physical keyboard, a 4.5-inch 1080 x 2160 screen, a dual-lens 12MP camera, a Snapdragon 660 chipset, 6GB of RAM, 64GB or 128GB of storage and a 3,500mAh battery. We’ve even heard prices rumored, with the latest leaks suggesting the BlackBerry Key2 could cost $649 / £579 (around AU$1,015). We’ll soon know how true all that is, but if the leaks are accurate it’s shaping up to be a very solid upper mid-ranger – albeit one aimed squarely at those who need more than a touchscreen for their typing.